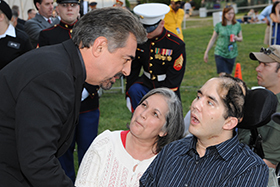 Go backstage with Joe Mantegna and Gary Sinise. 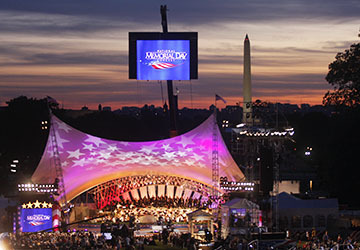 Acclaimed actors Gary Sinise and Joe Mantegna reunited for an 11th time to host the 2016 National Memorial Day Concert. Both gentlemen have deep, personal connections to Memorial Day, dedicating themselves to veterans' causes, as well as supporting our troops in active service. Officially formed in 2010; dedicated to serving the nation by honoring our defenders, veterans, first responders, their families and those in need. Designed to “entertain, educate, inspire, strengthen and build communities” through initiatives like Invincible Spirit Festivals. Creating hope and new memories for children of fallen military heroes by bringing families experiencing the loss of a parent together so that they are not alone. 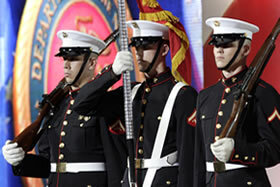 Developed by the Marine Corps to provide professional, anonymous counseling for Marines, attached Sailors and families. Provides the most advanced brain and spine treatment and imagery for U.S. wounded soldiers around the world. DAV is a nonprofit charity that provides more than 700,000 rides for veterans attending medical appointments and is also a leader in connecting veterans with meaningful employment, hosting job fairs and providing resources to ensure they have the opportunity to participate in the American Dream their sacrifices have made possible. 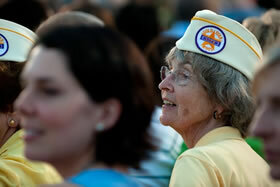 ACV is a 501(c)(3) nonprofit, national organization based in Virginia Beach, Virginia. Their mission is to ensure that no veteran is denied access to medical evaluation, diagnosis or treatment because of a lack of long-distance transportation. 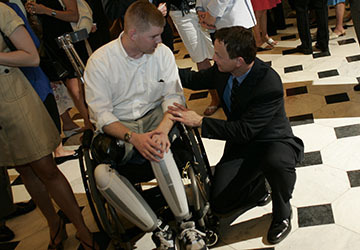 Works to enhance the quality of life for post-9/11 service members, their families and families of the fallen who have sustained physical and psychological wounds in the line of duty. 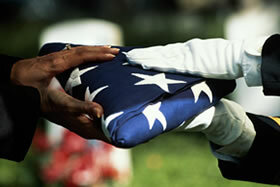 TAPS offers compassionate care to all those grieving the death of a loved one serving in our Armed Forces by providing comfort and hope 24 hours a day, seven days a week through a national peer support network and connection to grief resources, all at no cost to surviving families and loved ones. 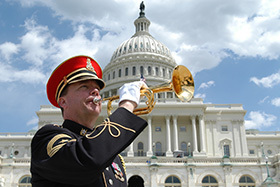 The mission of the Congressional Medal of Honor Foundation is to perpetuate the Medal of Honor's legacy through outreach and collaborative efforts and promote American values and the qualities of courage, sacrifice and patriotism through increased awareness, education, behavior and example.